Now available in Antique Grey! Patiently waited for this item to get back in stock, when it arrived, we were very pleased. We purchased it in the charcoal gray. 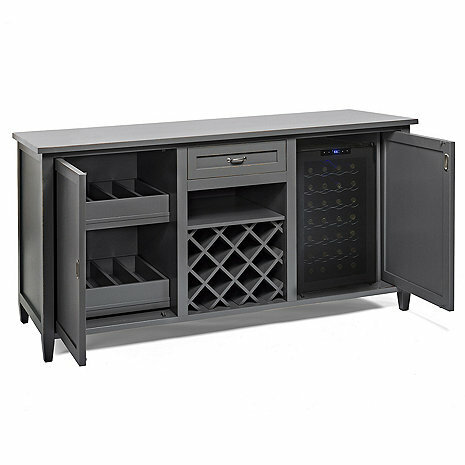 It is a beautiful piece of furniture, well made, heavy duty and works perfectly for our needs. Love the pull-out drawers for bottles of alcohol, great to be able to hide them inside the unit but easy to pull out the drawers for use. We had our contractor fabricate a piece of Quartz that looks like marble to match our other counter tops to put on the top; it blends in beautifully. This was the first time I had ordered anything from Wine Enthusiast and was not disappointed!